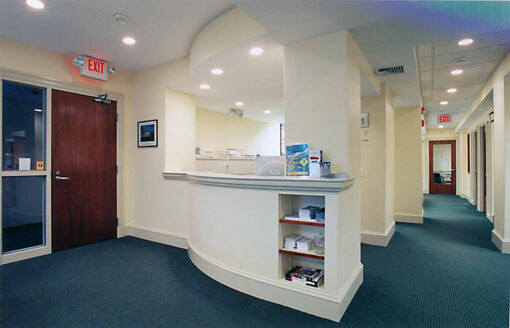 Create a visually appealing and functionally efficient office environment with reception area and employee lounge areas. The existing space had been subject to several previous adhoc renovations and consisted of smaller tenant spaces cobbled together over the years. We gutted the space of all finishes but needed to retain the existing structure and mechanical system and components for cost reasons. I used the fixed obstacles as design opportunities to create ceiling delineators, path markers, and space soffits. The interior space is as open as the program would allow and interior glass walls ensure that light penetrates the interior spaces.